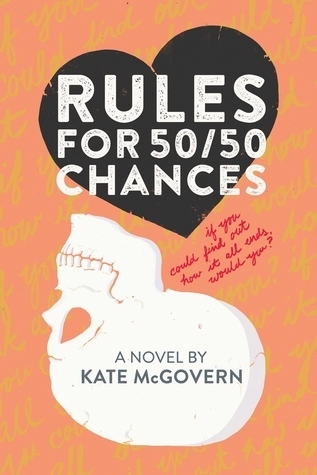 I don’t think I’ve ever been as conflicted about a book as I am about “Rules for 50/50 Chances”. It is a solid 3 1/2 but can’t be rounded up to a 4. There is also quite a bit of diversity in the book. Caleb, the main male character, is african-american, while Rose’s best friend, Lena, is asian-american. Rose herself is part Jewish. The differences in culture, as well as the differences in the diseases that run in their families, are explored and not ignored as some books tend to do. That being said, I had two major issues when reading this book. The first is that Rose and Caleb are both somewhat unlikable and judgmental toward each other. In fact, Rose is generally unlikable in almost all of her interactions. While some of it is pointed out, so obviously done purposefully, her irritation level went off the charts for me. Also, I cannot see those two ever developing an actual healthy relationship. The second problem is that it was just too long. Some of it could have been cut and the plot would have run quite a bit more smoothly. As it was I found myself having to force myself to keep reading some parts. “Rules for 50/50 Chances” is by no means a bad book, and it brings up many important issues and diseases. It’s a good contemporary read for both young and old adults who have a bit of patience for the slow parts and the character flaws. “My Secret to Tell” is a combination of mystery and “bad boy” romance which is blissfully free of love triangles. The characters of Emmie and Deacon were a lot of fun to read. Their banter felt natural and not at all forced. They also did not suffer from instalove, and I appreciate that fact quite a bit. Emmie faces many of the problems that most young adults face, including parental expectations versus personal wants. Deacon has quite a few problems, but many of the problems have a good cause. What I particularly liked was that none of the problems, good reason or not, are actually excused as appropriate behavior. That includes from Emmie. How often does unblinded love happen in a young adult romance? Not enough. The plot was fun, though I did figure out a good bit of the twist before it was revealed at the end. That’s the reason I gave it four stars instead of five. It’s a quick read. While not completely light, it also isn’t too heavy, so it’s a nice book to take on a vacation or read during downtime. I’d also like to mention that the descriptions of the North Carolina coast are beautiful and completely accurate. If you have a love of the area, you will enjoy it for that alone. 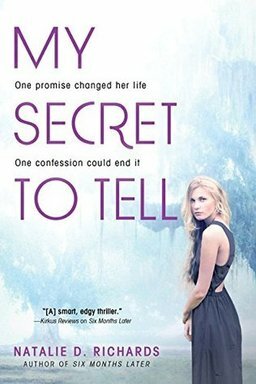 I recommend “My Secret to Tell” for young adults and adults alike who are looking for an enjoyable read. It takes quite a bit to scare me as far as books are concerned, but “Need” had me wishing I had left the lights on when I went to bed. It’s a solid new book from the author of the popular “Testing” series that fans of thrillers or the author will not want to miss. 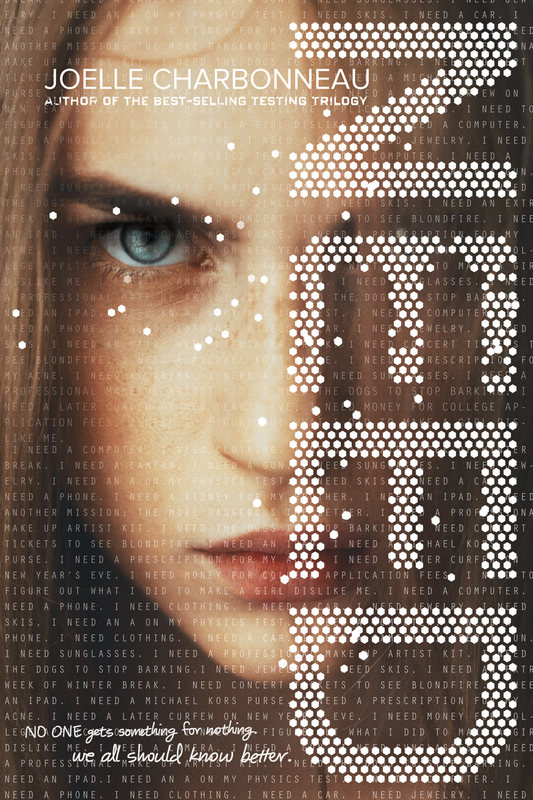 The story is told through the first person with Kaylee and through the third person using various students who are members of the new social networking site “Need.” Need promises to deliver what those who make requests need (though it’s really wants), but at a price. Mixing the points of view makes for a great mystery that gives the readers enough clues to keep it interesting, but not so many that it’s obvious what is going on. All of the characters are compelling, even those with only a few pages in total devoted to them. The plot makes for a page-turner and never slows down. It also brings up many serious issues about social networking and human nature, both good and bad. In fact, aside from a few events that seem a bit of a stretch of reality, I can’t find anything that I didn’t like about “Need”. Also, there is one instance of animal abuse and death, though it isn’t gratuitous and is important to the plot, so please beware if that triggers you. I recommend “Need” to all of those old (and brave) enough to handle a book that is terrifying because it could actually happen. It can be used to spark discussion about dangers, both online and off, as well as how we treat others. This review is based upon a complimentary copy of the book provided by the publisher in exchange for an honest review. Under the System everyone is assigned a numerical Score that decides their worth to society and whether they live or die. but in his quest to take down the System that has taken his brother from him, he must go through Meritorium, a city where gladiatorial games of life or death combat are waged between High Scores and Low Scores, man and beast. Charley and Sandy must face man-eating plants, religious zealots, slave traders, and the ever present mutant animal combinations that roam a dystopian Coliseum presided over by Emperor Titus, the one man standing between Charley and the answers he seeks. Man is not an animal, but if they are to make it through Meritorium, will they even be able to tell the difference? 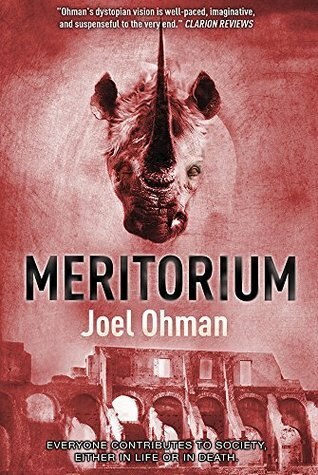 The lines between man and beast, friend and foe, will blur in Meritorium, the riveting sequel to the bestselling Meritropolis. “Meritorium” is the second book in the Meritropolis series. The debut book, “Meritropolis”, introduced a unique and well-developed world, along with an interesting cast of characters. Unfortunately, “Meritorium” did not live up to the original. The characters and plot are still interesting, which is what frustrated me the most about the problems in the book. There was quite a bit of “over-explaining”, which did nothing but slow down the flow of the plot and cause me to grow impatient with it. Additionally, there were some interesting religious themes, but instead of letting the story carry them, they were also explained in too great of detail. It reduced the impact and made it read like a sermon, whereas subtlety would have given much more for the reader to ponder. “Meritorium” had a lot of potential, but I can’t recommend it because of the reasons above. I’m still looking forward to the next in the series, as I have high hopes it will return to the writing style the made “Meritropolis” so good.